Robert Falk is a Past Chair of Morrison & Foerster's Environmental Law and Litigation Practice. He has an environmental and consumer products law practice that includes both compliance and litigation. Mr. Falk has served as special counsel to a variety of businesses and trade associations, successfully counseling and defending them in litigation with respect to various federal and state environmental and pollution control statutes, and California's unique Proposition 65 ("Prop 65"), the Unfair Competition Act, and the Consumer Legal Remedies Act. He is a leading expert in the Clean Water Act and California Water Code, and serves as counsel to large corporations, real estate developers, healthcare organizations, and to a variety of cities, counties, and special districts in California. Mr. Falk's consumer products-related practice extends beyond California's Prop 65 to matters involving the U.S. Consumer Product Safety Commission, the U.S. Food and Drug Administration, the U.S. Federal Trade Commission, and their state equivalents. He also focuses on climate change, "green chemistry," "green marketing," and sustainability matters. Mr. Falk frequently publishes articles on environmental due diligence and contamination issues. He is co-author of the chapter “Environmental Due Diligence in Real Property Transactions” in the West Publishing treatise Environmental Problems in Corporate Transactions. 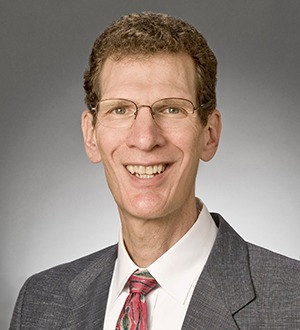 Mr. Falk has chaired the American Bar Association's Standing Committee on Environmental Law and currently serves on the Advisory Board of Prop 65 Clearinghouse and the California Center for Law, Energy, and the Environment. He also actively promotes policies concerning environmental and consumer products law reforms, alternative dispute resolution, and the use of improved science in judicial and regulatory decision-making.